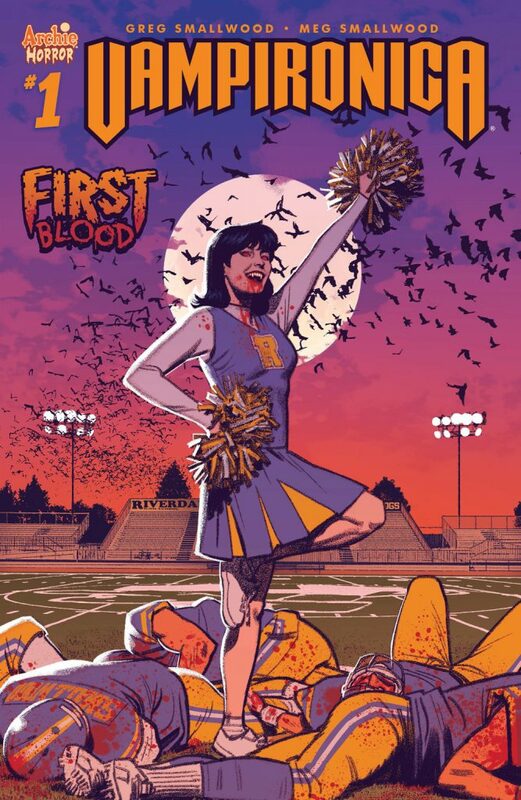 Join the team of Greg and Meg Smallwood and letterer Jack Morelli as they bring Riverdale’s rich girl to undead new life in this horrifying new series for TEEN+ readers! VAMPIRONICA #1 launches in comic shops and on digital platforms March 14 and features variant covers by Francesco Francavilla, Audrey Mok, Djibril Morrissette-Phan and Marguerite Sauvage. Get your copy from your local comic book shop or order your favorite cover from the Archie Comics Online Store! Read VAMPIRONICA #1 on the Archie Comics App or ComiXology!